Your audiologist is a crucial partner when it comes to performing the hearing test and helping you choose the best hearing aid for your needs and lifestyle. However, that’s not where their help ends. Audiologists can provide advice, help you learn how to use and maintain your hearing aid, program it, and even fix it when something goes wrong. Here are some of the most common hearing aid repairs your audiologist can help you with. The hearing aid’s ear hook is a small portion of ITE devices that latches comfortably around the ear, helping to secure it in place. As it sticks out some from the device itself, it’s not uncommon that it might get bent or snapped if the device is stepped or laid on. 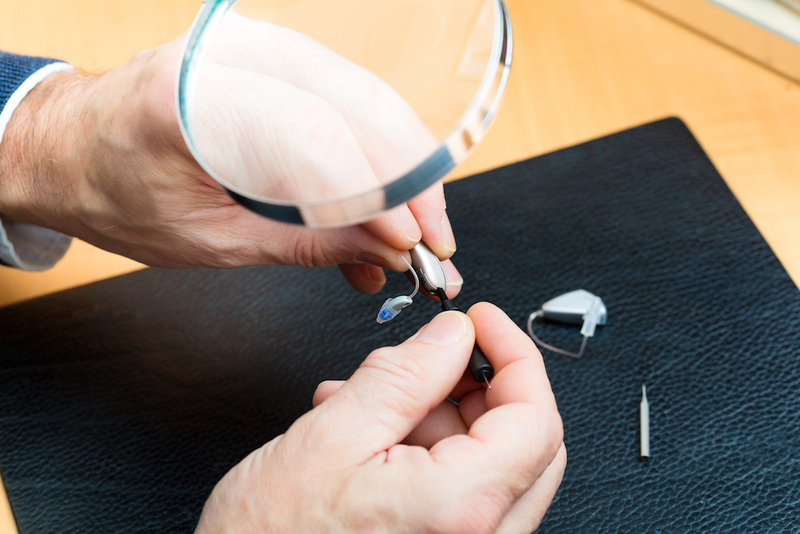 Although you may be able to bend it back in place or glue the two snapped pieces together, it’s an easy, cheap repair that your audiologist can ensure is done right. Connecting the device to the earmold, it carries sound from BTE hearing aids into the ear canal. Tubing regularly needs to be replaced as it can stretch, harden and crack out of shape. Moisture and debris can cause it to discolor and degrade over time, too. In most cases, this is as simple as a replacement, which the audiologist can instruct you on how to do, or simply do it for you. The part of the device that sits in your ear, flush against your skin, will wear down over time. It can lose its shape, meaning that it no longer fits the ear well anymore. This can become uncomfortable, irritating your skin after some time. Your audiologist can create a brand new mold for you, based on casts of your ear (which will be taken if they’re not already on file) for a relatively simply replacement. Most, though not all, issues with sound or volume from the hearing aid are caused by microphone issues. Though it’s always a good idea to check if the battery isn’t dead or damaged first, it’s still worth taking it to the audiologist. They may be able to make some fixes themselves or, if it’s damaged beyond repair, find a replacement from the manufacturer. Your audiologist will encourage that you avoid exposing your hearing aid to moisture unless it’s waterproof. For lighter moisture issues, like a damaged hearing tube, they will be able to repair it themselves. If the moisture has seeped into the device, affecting the delicate circuitry inside, they may need to end up referring it to the manufacturer instead. Make sure you don’t wear your hearing aid when washing, bathing, or swimming and keep it clean of wax and dirt to prevent moisture from settling. If you have any trouble with your device, your audiologist can be the first and most convenient source of hearing aid repairs. What they can’t repair on the spot, they can ensure is handled by the manufacturer with haste, as well as providing you with a spare to keep you well-supplied while you wait.